Inception begins with an idea. Dom Cobb (Leonardo DiCaprio) is a master thief whose lucrative method involves breaking into people’s dreams in order to steal their secrets. He is offered a job-specifically his last job-which is to plant an idea into a subject’s mind and to trick the mind into thinking it’s the subject’s own idea to begin with. What follows is an elaborate heist film that crosses several planes of subconscious existence. And just like any idea, it begins to expand. We learn that Cobb is a deeply haunted person that has difficulty letting go. In a world where dreams are infinite, he is internally imprisoned by his own past. What helps him break free is the cast of peripheral characters: his right hand man, Arthur (Joseph Gordon-Levitt), an architecture prodigy, Ariadne (Ellen Page), a forger of identities, Eames (Tom Hardy), the one who hires him, Saito (Ken Watanabe), and the mark of the job, Fischer (Cillian Murpy). The idea that Inception is an illusory maze now begins to manifest. We have the plot, the characters, the action, and the destination. What we don’t see coming is the way these factors come together. The plot is cleverly reflective of the film’s ideas and visuals; it initially unfolds upon itself like the dreamworld we witness in the first half hour. Towards the end, the plot becomes buried underneath layers and layers of dreams and flashbacks, and while this sounds confusing, the narrative is surprisingly straightforward. It is actually very linear, but it is forged by successfully mindbending techniques, further clouding our perception. I’m one to argue that people tend to do this. We, the architects of our own psyche, choose to complicate our minds with paranoia, misjudgment, and prejudice. However, our problems can sometimes be the simplest things to solve. The film acknowledges this frustrating paradox with its deceptive narrative structure, and I find it quite remarkable. Similarly, the characters are utilized in a uniquely effective way. Aside from Cobb and his wife, Mal, all of the characters are bland, but their collective facelessness is a quality that enhances the surrealism of the dreamworld. As Cobb becomes unhinged by his subliminal demons, the rest of the cast becomes mute in the midst of action-covering their faces with ski-masks or floating idly in zero-gravity. The characters break into deeper levels of the subject’s subconscious, and the emotional arc of the story simultaneously becomes more singular. Cobb’s imprisonment parasitically evolves from simple, faded memories to an entire dimension of loneliness and torture. Inception’s idea begins to spiral uncontrollably. With Cobb at the mercy of his guilt, the film takes us through several lapses of time and many unique dimensions of thought. Visually, we are struck with images of rain, snow, light, and darkness. Furthermore, Nolan’s hindrance as a poor director of action sequences is used to his advantage. Disorienting our perception with chaotically shot action is a perfect way to throw us off. And beautifully, the idea comes to a halt. Cobb reaches his destination, and he is able to let go. However, Nolan uses the final moments of the movie to finish his illusion. Before cutting to credits, the audience is left with a question: Is it reality or is it a dream? We never get to see Cobb’s totem finish its action, and this ambiguity is all we are left with. So, does the totem fall? Or does it keep spinning? 1. It doesn’t matter. It can fall and it can not fall. Both conclusions make sense, and there is enough evidence to support either claim. With an ambiguous ending, we are expected to speculate and to make theories. We have ideas about everything, but these ideas are planted by Christopher Nolan, himself. Thus, Inception has been performed on us. 2. Although I just said it doesn’t matter, part of me likes the film more if he is still in a dream, and here is why. The film begins with the ending. Nolan is known to do this; he does it in Memento and The Prestige. When we reach the ending of the aforementioned movies, a metaphorical loop is closed, and everything makes sense. With Inception, the film ends where it begins, and this loop is seemingly closed. However, the very idea of loops is something Nolan plays with. He utilizes loops as a motif in the film, but he uses them as illusions-for instance, the paradoxical infinite stairs. By making the ending the beginning, and the beginning the ending, a loop is formed, but as Inception itself is an illusion, so is this loop. It’s a paradox, designed by Nolan, and Mr. Cobb is trapped in his dream. What makes Inception so great is that it has multiple meanings. These are just my takes, and they are bizarre ones at that. Being The Tourist of Christopher Nolan’s mind is chaotic joy, and I hope to hear your opinions. Feel free to leave comments! After two frustratingly ambiguous teasers, the theatrical trailer for David Fincher’s The Social Network finally emerges, and it is surprisingly stunning. Enhanced by a musically effective and haunting rendition of Radiohead’s “Creep”, the preview suggests that this upcoming movie about Facebook should be taken seriously. The film’s color and photography appear stylistically ominous, and the acting and writing shown indicate that the drama is just as engaging. Hopefully, Fincher can knock it out of the park, just as this trailer did. The Social Network will open the New York Film Festival in September. It will then be released on October 1, 2010. Admittedly, I think there’s something charming about dark humor. Opportunities to laugh at death, disease, and hopelessness are obviously rare and a bit taboo, but these occasions aren’t meant to disrespect our grievances. They are meant to alleviate our despairs. This brand of comedy is ironic and satirical, and I personally admire it. As a person who takes things too personally, I’m in constant need of a kick in the pants to remind me that life is too short. 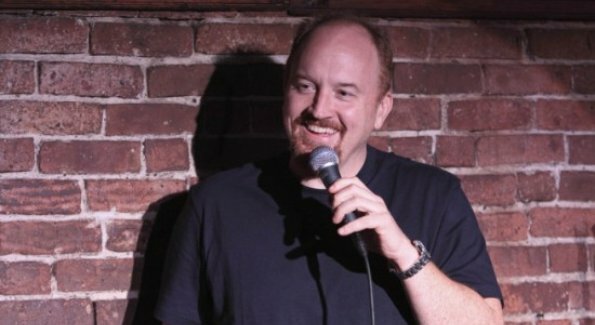 Now, since such a kick would be excruciatingly painful, I’d rather take an alternative: just watch Louis CK’s latest comedy series on FX, Louie. Louie isn’t really a sitcom. It’s a collection of semi-autobiographical short films about Louis CK’s life as a newly divorced single father in New York City. Acting as bookends to these short films are segments of stand-up from the comedian himself, and the material could not be any more morbid. Yet, laughs are given in return and the show remains light on its feet. This new series is surprisingly comforting. Yes, there’s something deeply sad about putting your dog to sleep, vaginal infection, homophobia, and death, but it is these misfortunes that Louie bravely confronts in order to connect us together as imperfect, lonely people. After watching an episode, it’s surprisingly hard to feel that bad about the misery that surrounds us in life. I guess that’s just how irony works. If there is one thing the Harry Potter series has successfully crafted through its entirety, it is its own level of maturity. From the innocence and wonderment of a wizarding world as seen in the first two installments to the realistic danger identified in the later sequels, the series has expertly encapsulated the point of the books: growing up. Now, with Mr. Potter near the end of the road, the stakes are higher, the challenges are more daunting, and the pressure is insurmountable. Transitively, the film appears grander, the music sounds more epic than ever, and the trailer, itself, feels incredibly fatalistic. The one thing that irks me about this preview is the self-referential text poorly spliced together with the montage. I think the trailer speaks for itself. We don’t need textual reminders. Regardless of my dumb nitpicking, I’m looking forward to these upcoming months. Advertisement for the films has always been well done, and the series has been a part of my entire life. Of course, I’m more than excited.